Police responded to reports of a suspicious object in Serpentine Lake. Police responded to reports of a suspicious object in Hyde Park's Serpentine Lake, which was found to be an unexploded mortar round. The device poses no danger to the public and has been removed, authorities said. (Ben Cawthra/REX/Shutterstock) A police dive team works at the scene at the Serpentine Lake in Hyde Park in London following reports of the discovery of an object that could be unexploded ordnance, Nov. 16, 2018. 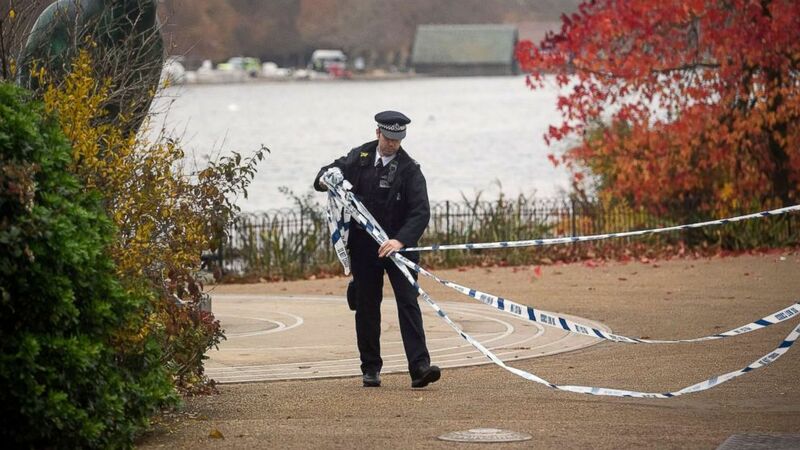 "Police are dealing with reports of a possible unexploded ordnance device partially submerged in The Serpentine, W1," London’s Metropolitan Police said in a statement. "Specialist officers are attending and a cordon is currently in place between the Triangle car park and the boat house on Serpentine Road." The Serpentine Lake in Hyde Park is a major tourist destination, located near a memorial to Princess Diana and the historic royal residency of Kensington Palace. We can confirm that a suspicious object, probably an unexploded WW2 bomb, has been found in the Serpentine Lake in Hyde Park. Specialist police officers are on the scene and a cordon is currently in place between the Triangle car park and the boat house on Serpentine Road. The cordon has since been lifted and the park has reopened. Police at the scene told ABC News the device was about 12 feet long. 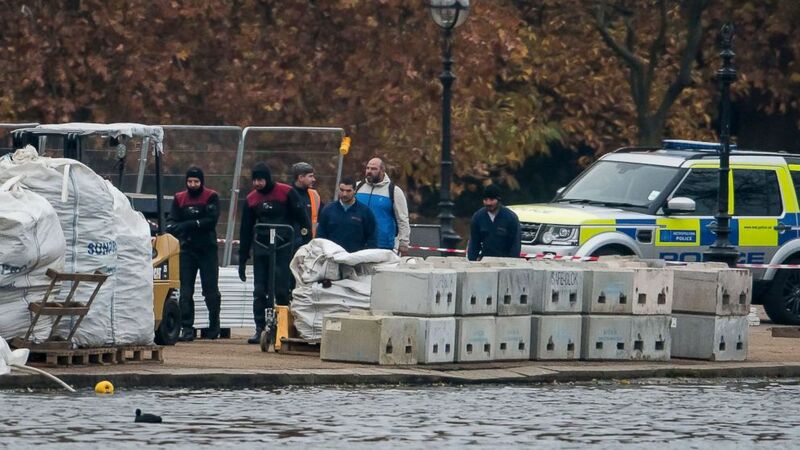 (Ben Cawthra/REX/Shutterstock) Police set up a cordon around the Serpentine Lake in Hyde Park in London following reports of the discovery of an object that could be unexploded ordnance, Nov. 16, 2018. The United Kingdom was heavily bombed during World War II, so the discovery of unexploded bombs is a common occurrence. An estimated 10 percent of German bombs that hit the British Isles did not explode, according to Ministry of Defence data given to the BBC. 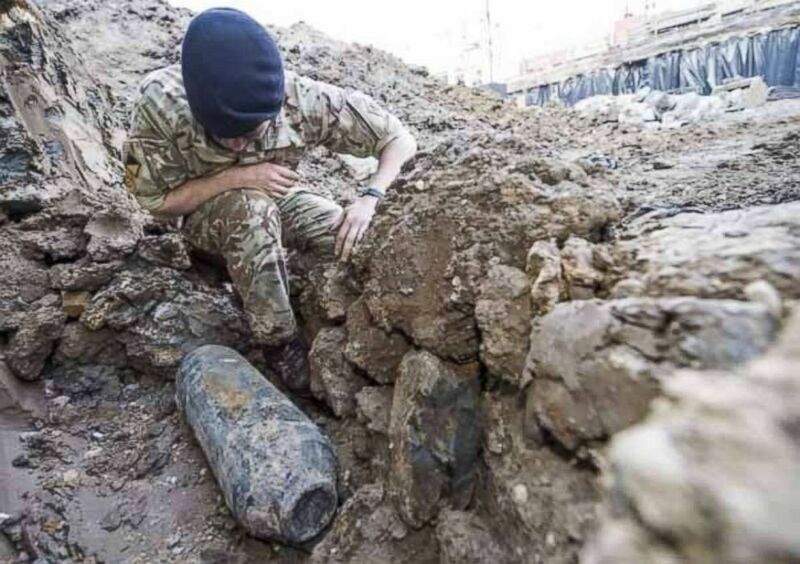 (British Army via Anadolu Agency/Getty Images, FILE) A British Army bomb disposal expert inspects an unexploded German bomb dating back to World War II on May 21, 2015 in Wembley 200 meters from the soccer stadium in London. This is the second time this year a device of this nature has been discovered. In February, London City airport was closed down when a bomb was found in the nearby Thames River, according to the Associated Press.